Caring for a person with Alzheimer's disease is often a series of grief experiences as you watch memories disappear and skills erode. Initially, this process can go unnoticed until difficulties impact daily life and the disease can no longer be denied. For both caretakers and their loved ones, this often produces confusion, anger and sadness. If left unchecked, these feelings can last throughout a caregiver's long journey. With the difficult outlook, caregiving can become all-consuming as your loved one dimishes over the years. Grief, depression, and anger are common, but anticipating the learning about the disease can reduce your frustration, foster reasonable expectations, and prepare you for new challenges. 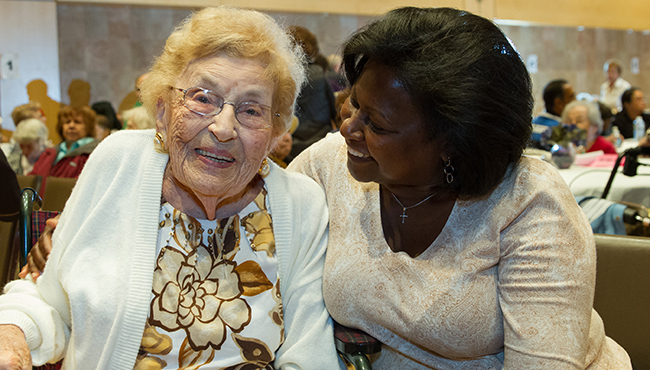 Your commitment to Alzheimer's caregiving is a remarkable gift. Learning all you can about what is happening and what to expect not only helps your loved ones, but also provides your with the first first step towards protecting your own total health. Join us on a convenient time and day.